Infinity Flight Group is proud to have maintained a long-standing partnership with Mercer County Community College (MCCC) Aviation Program that is nationally accredited with Part 141-certification. It is the only College Aviation Technology Program in the state of New Jersey. Classroom instruction is completed at the MCCC West Windsor Campus, and flight instruction is given at Trenton Mercer Airport at the Infinity Flight Group facility, only a short drive away from MCCC. 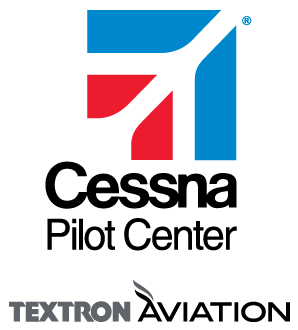 Flying out of Trenton-Mercer Airport (TTN) allows students to train in some of the busiest airspace in the nation. TTN logs over 100,000 take-offs and landings each year, is home to several Fortune 100 corporate jets, as well as major airlines, and is supported by an award winning air traffic control tower. In addition to a newer fleet of meticulously maintained Cessna aircraft, and a twin-engine Piper Seminole, Infinity Flight also offers some of the latest FAA-approved flight simulator technology. These simulators can be configured to mimic numerous aircraft, providing students with a consistent training environment, and also allow students to become familiar with aircraft performance outside of the airplane. Students who successfully complete their training through the Mercer County Community College program will receive an Associate in Applied Science degree in Aviation Flight Technology, and Commercial Pilot Certification with an Instrument Rating. Some students may also choose to advance on through the Certified Flight Instructor Program (CFI). Utilizing airline “flow-through” agreements, students can go from their Private Pilot Certificate straight through to future employment as an airline pilot. •	We will foster an environment that supports learning and individual growth and is accessible to our student population. •	We will encourage and aid students to attain the Commercial Certificate with an Instrument rating with a high regard for all safety issues. •	We will offer quality training and coursework that will readily transfer or prepare the student for entry into occupational programs. •	We are committed to providing to our students a broad general education background concurrent with professional pilot skills. •	We shall provide student activities including a Flight Team, Alpha Eta Rho, field experiences, and guest speakers from the aviation industry to enrich the college experience. •	We will promote cooperative relationships with other educational institutions, government agencies, professional business and industry groups to better serve the students in our program.